I loved birthing my children and saw those two days at the most empowering times of my life. 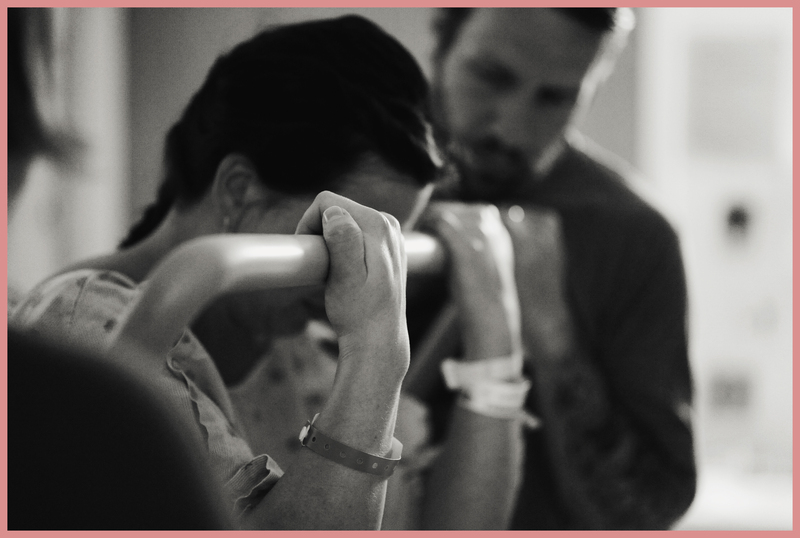 I treasure the professional photographs taken during my son and daughter’s births because they allowed me to view the event in a way I was unable to during labor- the look on their father’s face when he saw his baby for the first time, the celebratory mood of the staff present, the overwhelming look of strength that appears on every birthing mother’s face. It’s all so beautiful, and I missed it all because I was busy birthing. I think when people envision a photographer at their baby’s birth, they shy away, thinking only of photographs of a baby crowning. But labor can take many hours and the actual birth is only a small part of the story. Even in those beautiful few seconds, some of my favorite images are not of the baby coming out, but, as in my own photographs, of all the surrounding details that make up the larger story. I do my best to tell this story as a witness to your day. I want to capture the smallest details, the passing of time, the strength and vulnerability, the emotion, the life change. I am quiet and respectful, compassionate and educated and ready to help in other ways as needed. I am here for my families, staying as long as desired so that first feedings, meetings, and sibling greetings might be captured. Birth, like a wedding, is something that we plan for and dream about for months or years and it lasts for such a short time. We only get a few opportunities in our lives to participate in this event. Why not celebrate it over and over again with a record of the day? Because of the unpredictable nature and length of time involved with birth photography, the price is a bit higher. My services include a prenatal meet and greet to talk about your birth plan and wishes, my time and talent as an on-call photographer from 38-42 weeks, my equipment, 8-10 hours of processing and retouching as necessary, and a disk of 70 or more images processed in both color and black and white with a signed print release. I offer my services for natural deliveries, planned and emergent C-section deliveries, home, birth center, and hospital births within Thurston and Lewis counties, and will transfer with you to Tacoma if necessary. Suggesting to grandparents or other eager baby gift givers that you would like them to contribute to the price of birth documentation, or requesting that many people go in together as a group baby shower present are both great ways to make birth photography affordable. While the cost of photography, and particularly jobs that involve many hours and much stamina, is quite high, if you divide the cost of the service by the number of years that you will be enjoying your photographs, the price is really very affordable and worth every penny of investment.